Utah coach Lynne Roberts’ roster has been down to seven players since Feb. 22. 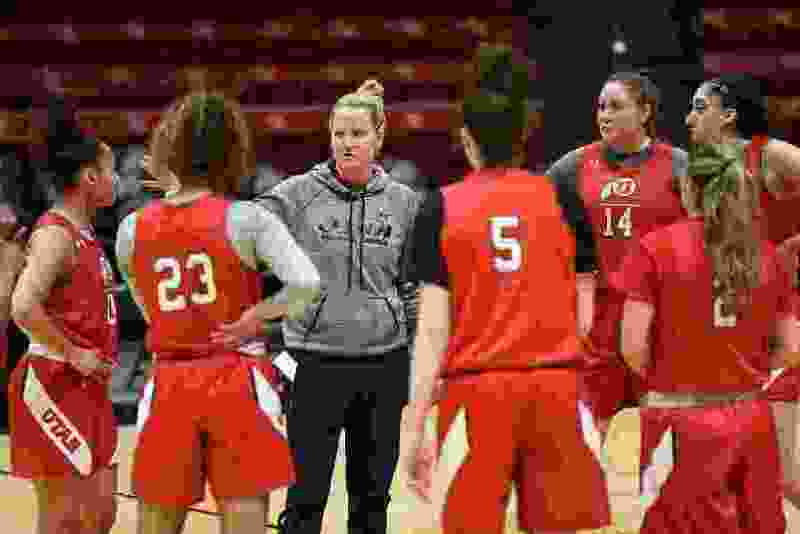 With her roster having been reduced to seven active players for the past two weeks, Utah women’s basketball coach Lynne Roberts will turn down a WNIT bid, she said Friday. “We are worn down, and you can just see it,” Roberts said in a news release. The Utes took the program’s highest-ever seed (No. 6) into this week’s Pac-12 tournament in Las Vegas, but No. 11 Washington pulled off a 64-54 upset in the first round late Thursday at the MGM Grand Garden Arena in Las Vegas. Utah finished 20-10, after once being 18-1 and ranked No. 14 nationally. The school’s spring break is scheduled next week. The team lost No. 2 scorer Daneesha Provo to a knee injury in early January and then forward Dre’Una Edwards, the Pac-12 Freshman of the Year, was hurt Feb. 22. The Utes already were low in numbers due to preseason injuries, players redshirting, an admissions case and a midseason transfer. Senior forward Megan Huff is a WNBA draft prospect. The Utes also will lose Provo, guard Erika Bean and reserve guard Sarah Porter from the program’s first 20-game winner since 2012-13. Utah’s 9-9 record in the Pac-12 and a tie for sixth place are benchmarks in eight years of conference membership. Corner Canyon High School guard Kemery Martin, who signed with the Utes in November, was named Friday as the Gatorade Player of the Year in Utah. The Chargers lost to East in the Class 5A state championship game.